This plush upholstered rocker recliner will accent homes with comfort and convenience. The perfect reclining chair for family rooms and living rooms, this comfortable piece features a casual style with plump upholstered cushions and pillow topped arm rests. A reclining and rocking option allow the occupier of this seat multiple comfort options, providing the type of relaxation that best suits your mood. A casual piece built for home relaxation, this comfortable recliner will be an instant home improvement. The Medium Recliners McGinnis Casual Power Rocker Recliner with Plush Upholstered Arms by Best Home Furnishings at Story & Lee Furniture in the Leoma, Lawrenceburg TN and Florence, Athens, Decatur, Huntsville AL area. Product availability may vary. Contact us for the most current availability on this product. The Medium Recliners collection is a great option if you are looking for Casual furniture in the Leoma, Lawrenceburg TN and Florence, Athens, Decatur, Huntsville AL area. 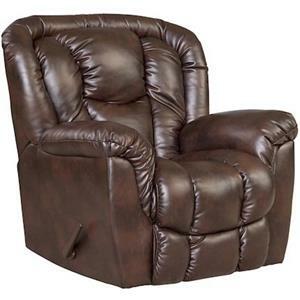 Browse other items in the Medium Recliners collection from Story & Lee Furniture in the Leoma, Lawrenceburg TN and Florence, Athens, Decatur, Huntsville AL area.